Dylan Thomas was a Welsh poet and writer whose works include the poems “Do not go gentle into that good night” and “And death shall have no dominion”, the “play for voices”, Under Milk Wood, and stories and radio broadcasts such as A Child’s Christmas in Wales and Portrait of the Artist as a Young Dog. He became popular in his lifetime and continued so after his premature death in New York. 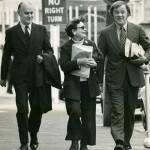 In his later life he acquired a reputation, which he encouraged, as a “roistering, drunken and doomed poet”. 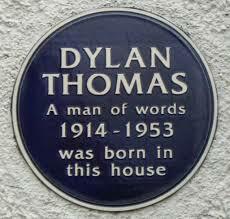 It’s a once in a lifetime opportunity to celebrate the works of Dylan Thomas on the anniversary of his birth. This unique event is a 36 hour non-stop reading of Thomas’ poems, short stories, broadcasts , letters and Under Milk Wood live on stage ending at 11pm on 27th October – the moment of his birth 100 years before. The marathon show will feature hundreds of participants, live on stage, from the worlds of broadcasting, film, theatre, sport, politics and literature together with school children, young people, choirs and community groups to create an epic celebration of the 20th Century’s greatest lyrical poet. Staged and devised by Oliver Award-winning director Michael Bogdanov, participants include Rob Brydon, a Welsh comedian who played Dr. Paul Hamilton in the british comedy series Supernova. Also a Welsh actor joining the event is Matthew Rhys who was given recognition on his portrayal of a Russian Spy in the Fx’s drama series The Americans. Howard Marks, Sian Phillips, Ruth Madoc, David Emanuel and Celyn Jones with many, many more to be announced. Oscar nominated star Ian McKellen is to join the 36-hour marathon reading of Dylan Thomas’s works in Swansea this autumn. Mr McKellen, the recipient of six Laurence Olivier Awards and whose work crosses genres ranging from Shakespearean and modern theatre to popular fantasy and science fiction, has signed up to join the line-up of stars. Here is the list of the resource of the readings.The Swansea Grammar School Magazine , poems, stories and essays, The South Wales Evening Post – reviews, The Collected Letters, The Love Letters, Letters to Vernon Watkins, Letter to Loren, Letters to Pearl Kazin, 18 Poems , 25 Poems, The Map of Love Poems and Stories, Deaths and Entrances Poems, In Country Sleep Poems, From In Memory of Ann Jones Poem, The Notebooks Poet in the Making, Portrait of the Artist as a Young Dog Stories, Quite Early One Morning Stories and Essays, A Prospect of the Sea and other Prose Writings and Stories, Adventures in the Skin Trade and Other Stories, Two Tales Me and My Bike and Rebecca’s Daughters, The Broadcasts, Under Milk Wood, The Doctor and the Devils Film Script, The Beach at Falesa Film Script, 20 Years A-growing Film Script, The Weird Sisters Film Script. The Prince Foundation for Children & the Arts was nominated to be the beneficiary charity for the Dylathon. If you come in and stay for the 3 hours, you are not only delighting yourselves from the stellar event but helping in your own small way. This event deserves a kudos!